The crash of Air France Flight 447 (AF447) off the coast of Brazil in June 2009 and the disappearance of Malaysia Airlines Flight 370 (MH370) in the southern Indian Ocean in March 2014 highlight several challenges authorities may face in locating aircraft in distress and recovering flight recorders. 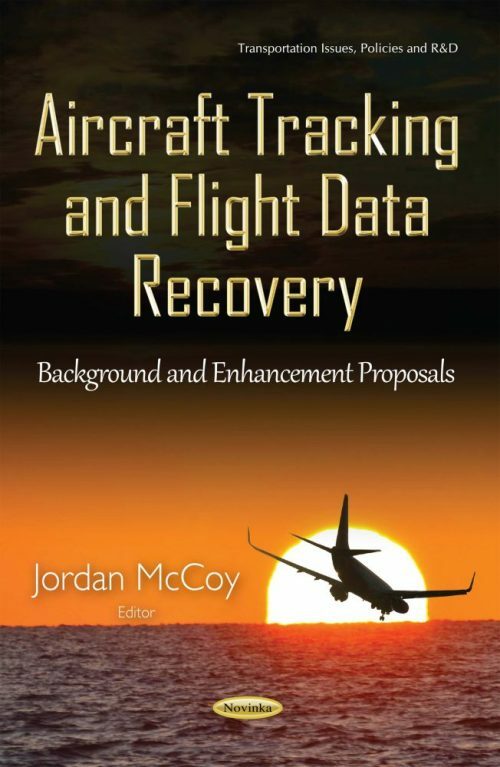 In response to these aviation accidents, government accident investigators, international organizations, and industry have offered proposals that aim to enhance oceanic flight tracking and flight data recovery on a global scale. Given the implications for the U.S. commercial fleet, it is essential that the Congress understand the strengths and weaknesses of these proposals. This book describes the challenges in tracking aircraft and recovering flight data highlighted by recent commercial aviation accidents over oceanic regions; government and industry proposals to enhance aircraft tracking, and how aviation stakeholders view their strengths and weaknesses; and government and industry proposals to enhance the recovery of flight data, and how aviation stakeholders view the proposals’ strengths and weaknesses.